You may have seen in the BBC news over the last few weeks that Language entries at GCSE and A-level are at an all time low on a national level. I am happy to say that here at Godolphin we are bucking this trend and are always looking at ways to encourage the girls in their language studies. I wrote to staff last week to find out what language expertise we have among the staff and the results were pretty impressive. You might be interested to know that Mrs Hattersley, Mr Dain, Mr Budd and Mrs Price all studied at least one language at A-level and several studied two. Aside from the MFL department, we have several members of staff who have degrees in a language, and a huge number of teaching and non-teaching staff with two languages at GCSE level. 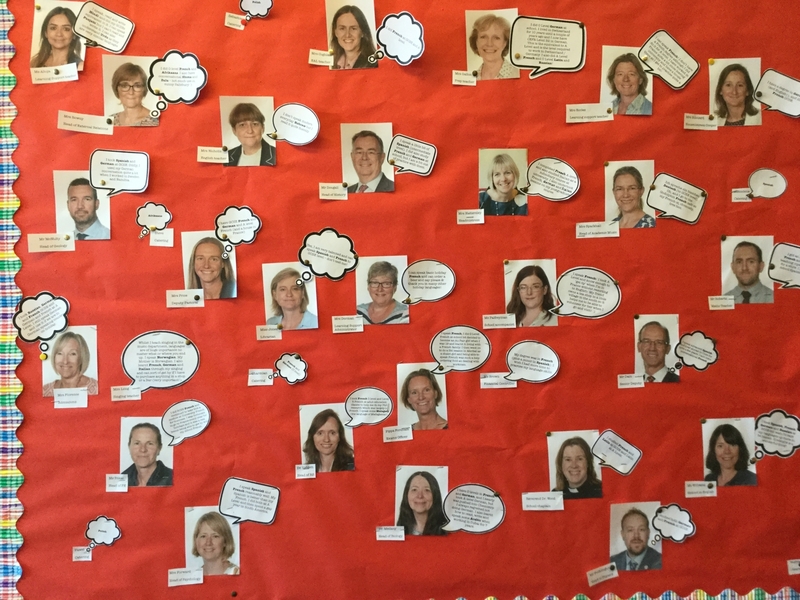 We have created a display in the Language department and we do hope your daughters will have a look and feel inspired by the expertise among our staff! In response to the BBC article about declining language entries, business organisations have expressed concern at the lack of language skills in the UK. Matthew Fell, chief UK policy director for business group the CBI, said: "Employer demand for French, German and Spanish skills have significantly increased over the last few years. "The decline in language learning in schools must be reversed, or else the UK will be less competitive globally and young people less prepared for the modern world. "As well as speaking a foreign language, increasing young people's cultural awareness and their ability to work with people from around the world is just as important.